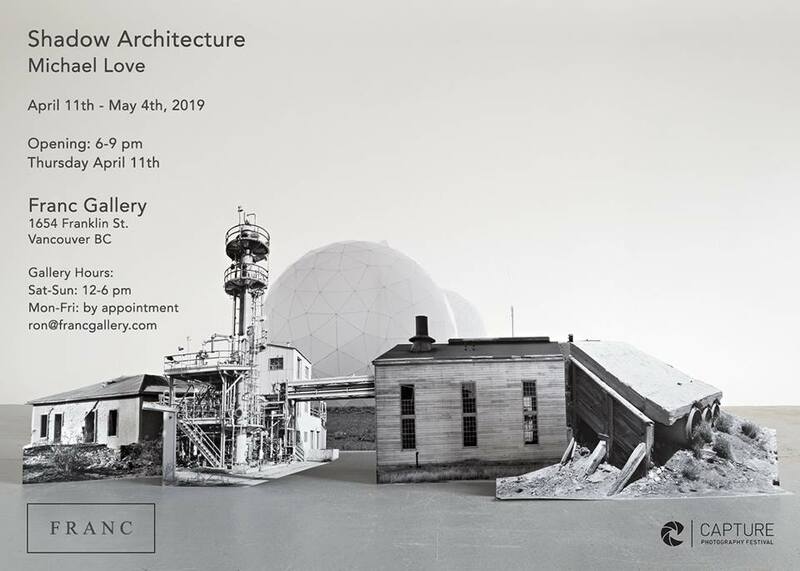 Please join us for an exhibition tour of Shadow Architecture featuring the work of Michael Love at Franc Gallery. The works in Shadow Architecture re-examine the architecture and military legacy of the Cold War period by using the photographic archive as material for production. The photographs, sourced from the Library of Congress in Washington, DC, document the United States’ emergence as a world superpower through a representation of militarized sites, including missile launch sites, weapons testing facilities, radar stations, and arms manufacturing sites. The exhibition works through the collection and rearrangement of selected photographs from this archive. 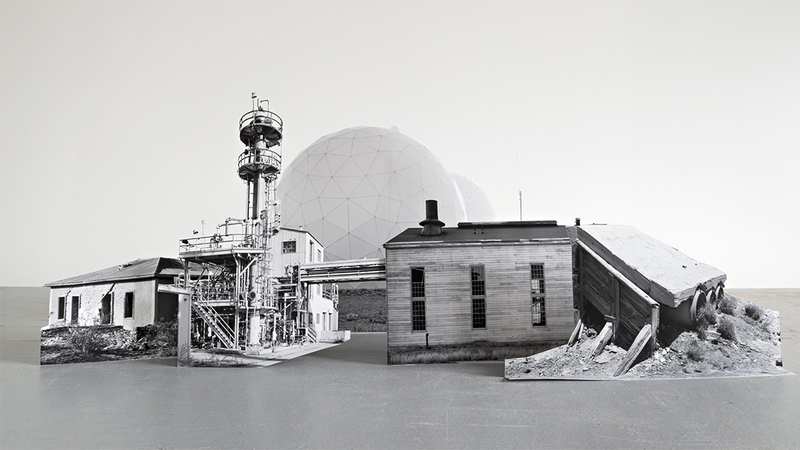 Using hand-cut collage, assemblage, and rephotography techniques, Vancouver-based artist Michael Love draws complex connections between the militarized sites, their histories, and their embedded ideologies. The resulting survey of restructured architectural spaces act as propositions that reimagine physical and ideological spaces. The exhibition is part of the Capture Photography Festival and is supported by a London Drugs Printing Grant.